The Philippines has climbed 4 notches from No. 103 to No. 99 out of 190 economies in the 2017 World Bank-International Finance Corporation Doing Business Report. 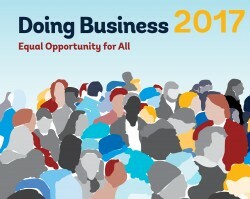 The country has gained 49 spots in the Doing Business report since 2011. 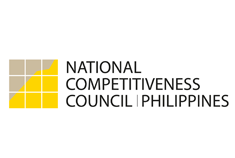 Data for the report was collected between February and May 2016 with the data cut-off date set at May 31, 2016 using Quezon City to represent the Philippines. The Ease of Doing Business Report is the 14th in a series of annual reports reviewing the regulations that enhance business activity and those that constrain it. It measures regulations affecting the life cycle of a typical business. These areas are: Starting a Business, Dealing with Construction Permits, Getting Electricity, Registering Property, Getting Credit, Protecting Minority Investors, Paying Taxes,Trading Across Borders, Enforcing Contracts, and Resolving Insolvency . The Philippines advanced in four of ten indicators. Gains were seen in Protecting Minority Investors – up 18 (from No. 155 to No. 137), Dealing with Construction Permits – up 14 (from No. 99 to No. 85), Paying Taxes- up 11 (from No. 126 to No. 115), and Enforcing Contracts- up 4 (from No. 140 to No. 136). Among the reforms introduced this year in the Philippines were the extent of corporate transparency index, increasing the transparency of building regulations, andthe introduction of an online system for filing and paying health contributions. Slight declines were registered in Getting Credit (down 9 from No. 109 to No. 118), Starting a Business – down 6 (from No. 165 to No. 171), Getting Electricity- down 3 (from No. 19 to No. 22), and Resolving Insolvency- down 3 (from No. 53 to No. 56). The country recorded no change in two out of 10 indicators, Registering Property and Trading Across Borders at No. 112 and No. 95, respectively. Aside from the Philippines, four other countries in ASEAN – Indonesia, Brunei, Vietnam, and Thailand – all received upgrades.